While air travelers have been able to share their experiences with the world’s airlines through a wide range of social media websites, there have been few ways to rate individual flights. Until now. 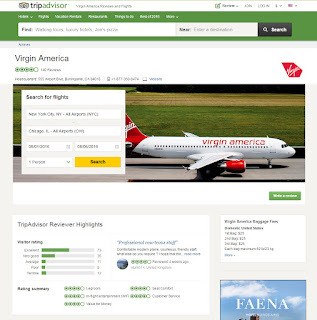 “The new enhancements to the [TripAdvisor] site bring transparency to a marketplace that has become increasingly difficult for consumers to make direct comparisons between flight options,” TripAdvisor said in a news release announcing the expanded service. At almost the same time as the TripAdvisor launch, a start-up called FlyerVoice launched a beta version of its flight review platform, a resource that also allows travelers to review their flying experience and rate specific airline flights. Debuting Monday, July 18, FlyerVoice hopes to quickly secure its place in the social media landscape. 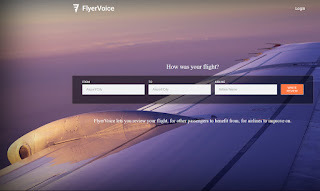 “FlyerVoice.com allows passengers to pick the airline they just flew across a destination-pair route and rate their experience, with scores for baggage handling, check-in experience, in-flight amenities, food, hospitality, seats, punctuality, and more,” Allister Barretto, co-founder of FlyerVoice, said in an article posted on LinkedIn. While reviewing specific flights might seem beneficial, I was dubious and said so in response to Barretto’s article. Because flight crews rotate regularly, the service could be dramatically different between two flights on the same route on different days. As I saw it, my rating of Air America Flight 001 on Monday, which will likely have a completely different on-board crew, may not bear any resemblance to the Air America Flight 001 on the following Friday. One of Barretto’s stated goals in starting FlyerVoice is to send feedback that would help airlines improve their offerings. My response was that I expected the feedback to fall on deaf ears, particularly with most U.S. airlines, though I noted that Virgin America (NASDAQ:VA) - which was the highest-rated U.S. airline in the 2016 Skytrax World Airline Awards announced last week, and Delta Air Lines (NYSE:DAL) which improved 10 points from its position in 2015 – might be exceptions. However, in my observation, most U.S. carriers seem more interested in squeezing more passengers into ever-smaller seats and wringing more "ancillary revenue" from them than offering a pleasant flying experience. I also questioned whether the average traveler will be able to clearly differentiate between things over which the airline has control vs. things it does not. Weather delays, for example, are not an airline's fault but there are other more subtle things -- like available gate space -- that the airline does not control. And yet, sitting on the ramp for 45 minutes waiting for a gate will likely leave a bad taste in many passengers' mouths. Will they blame the airline, I wondered. “I expect that to be a constant across airlines; i.e., all of them getting their fair share of non-influenceable factors that impact satisfaction, and it evening out over time,” Barretto said. As I detailed in my publication Getting the Most Out of Social Media, which is available here, using social media effectively takes work. Still, more information is better than less and if FlyerVoice, TripAdvisor’s new functionality and other sites give us more detail on which to decide where to spend our travel dollars, so much the better. Finally, while the FlyerVoice/TripAdvisor match-up may seem like a “David-vs-Goliath” contest, Barretto doesn’t see it that way. “On an equal playing ground like the Internet, rival services just complement each other,” he said in his article. “A billion dollar company and its new baby, a company with a few hundred dollars - both trying to solve the same problem, armed with equally grand yet distinct agendas." 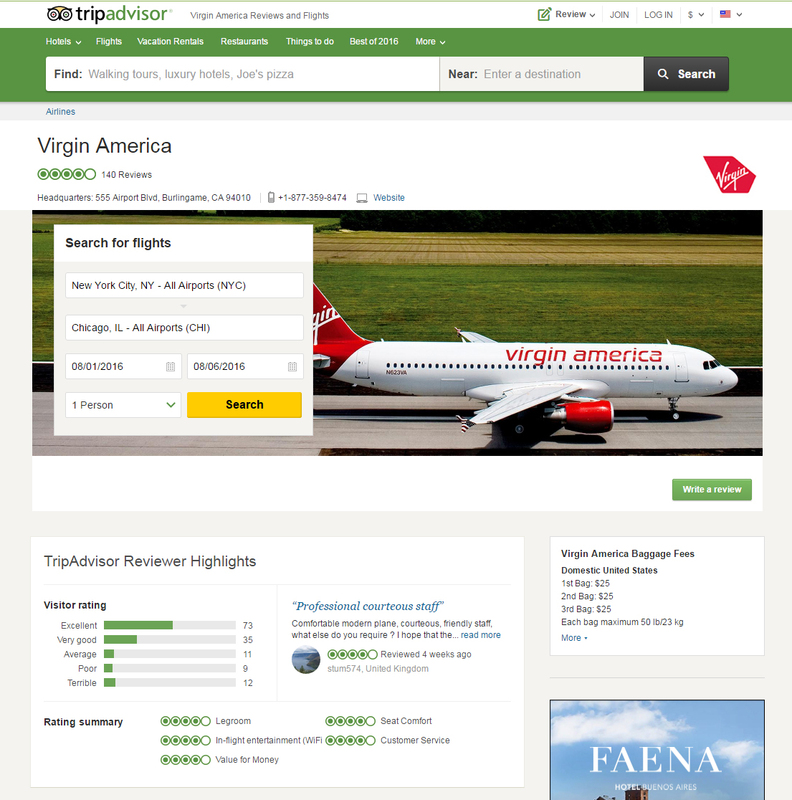 As a frequent traveler, active TripAdvisor contributor and (fairly) prolific travel writer, I wish them both success.